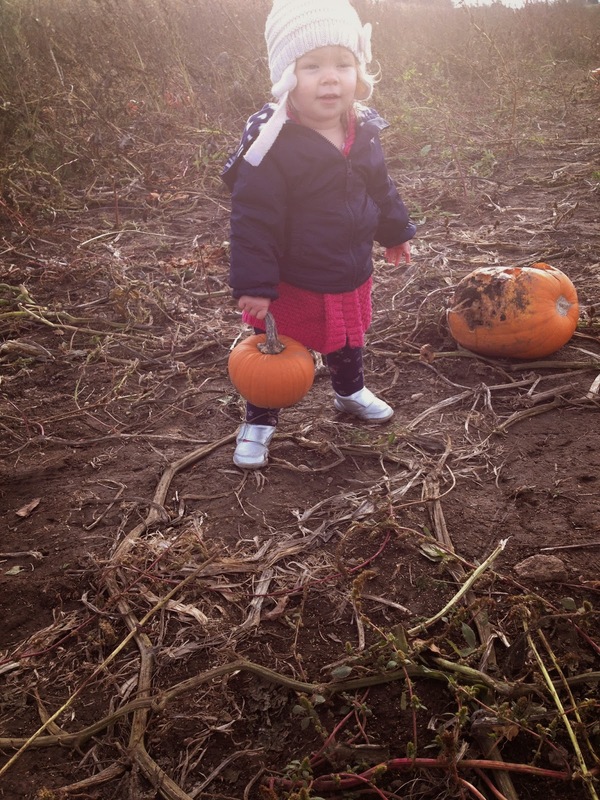 We had our annual visit to the pumpkin patch yesterday. 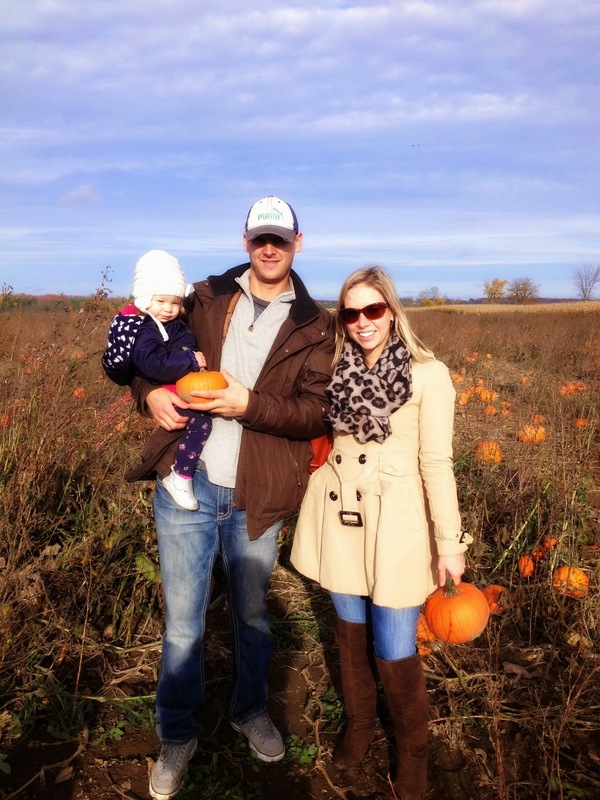 Despite the chilly weather, we had an amazing time AND brought home some lovely little pumpkins! Our little peanut was beyond proud of her find. Okay, I may have helped a wee bit with the choosing but had I not, we likely would have come home with the rotten pumpkin to the right. I've been missing my little miss lately during the week and the weekends have been full with activities and going by much faster than I'd like. Thankfully, we are making a point to enjoy every minute. I have said before, I want to blog more, I want to write more meaningful things more often and eventually I'll get those posts in. Right now though, I'm living the weekends up and getting in as much family time as I can. Hope everyone had as wonderful of a weekend as I did and here's to a quick work-week! My daughter would have picked the rotted pumpkin too when she was that age! Your daughter looks adorable as usual and I love your over the knee boots! thanks Jill! i just pulled those boots out of storage lol! AHHHHH your jacket!- looking fabulous! an RW deal from season's past! love it too! These are just pics from my phone... I took some on my camera but I'm horrible at uploading too! Fun day - and you looked gorgeous! fun, that outfit is perfect for a Fall day. How about you send some of that our way? !